*Auslogics has recently released BootSpeed 8 so the version included in this package (v7) is not the most up-to-date version. *Degoo cloud storage causes me some concern. 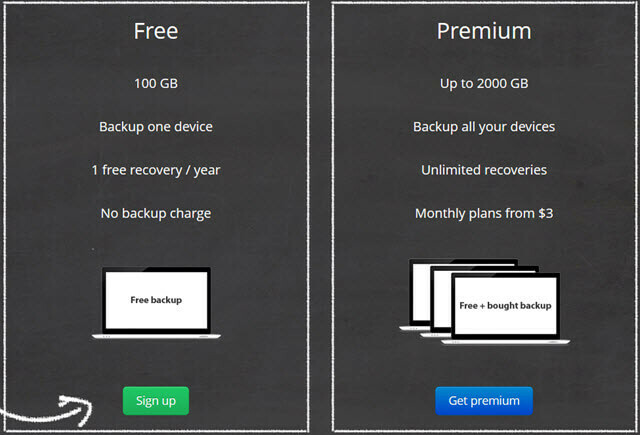 Firstly, the service is offering 100GB FREE storage for anyone who signs up anyway. Looks like this deal is for Degoo Premium and includes 2000GB of data for 6 months, which would be overkill for most home users and therefore probably not terribly good value. Secondly, the service has attracted a number of negative comments through the WOT site rating service. However, these comments are quite old now (circa 2014) so things may have changed. 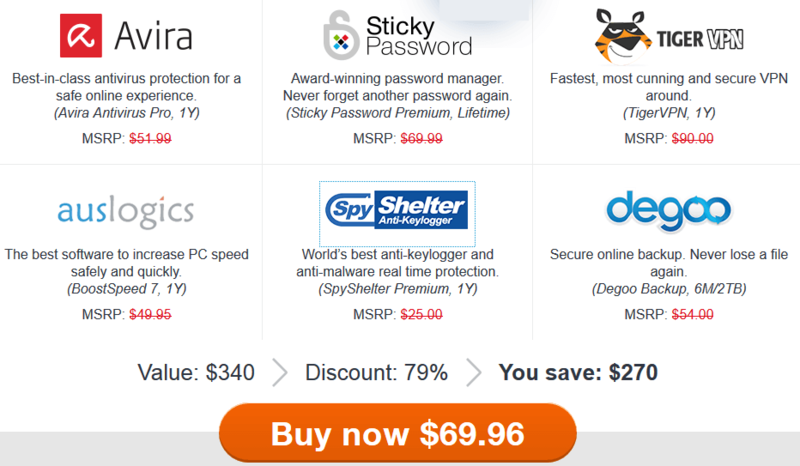 Regardless, this is a pretty good deal which includes several quality products, especially if you’re looking for a professional password manager – the StickyPassword lifetime license alone covers the cost of the entire package. *Available through to the end of July. I’d love to answer any questions or concerns you might have about our service. Since the Mac days, I’ve been an avid user of 1Password. However, I must say that their offer for the Windows platform isn’t as good as the Mac one. I never felt the need for a change, but lately I’ve been using Linux more often as well so I thought that, maybe, a multi platform password manager wouldn’t be so bad. I realize that StickyPassword works only on Windows and OSX, still I was wondering if you had any experience with the password manager offers and what did you think of it.